It is essential as dental professionals that we understand the rules and regulations surrounding free dental treatment in the United Kingdom. Dr. Tariq Drabu is a leading dentist and specialist oral surgeon. He is one of the youngest dentists to ever graduate in the UK before working at some of the busiest dental hospitals in the UK and Saudi Arabia. Dr. Drabu always had a passion for oral surgery and on his return from Saudi Arabia completed his Fellowship in Dental Surgery at the Royal College of Surgeons of Edinburgh. Dr. Drabu is the owner of the successful Langley Dental Practice and is also the Clinical Lead Dentist for the Oral Surgery Clinical Assessment and Treatment Services at NHS Heywood Middleton and Rochdale. 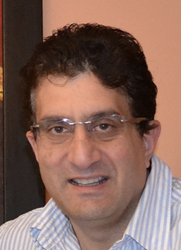 He is also an active mentor and tutor to postgraduate dentists in oral surgery at UCLAN Dental Clinic in Preston. Dr. Tariq Drabu was speaking about a recent article published on a popular dentistry website on the 11 April 2014. The full article can be read here. Dr. Tariq Drabu is a leading dentist and specialist oral surgeon. This Manchester born and educated dentist was one of the youngest dentists to graduate in the United Kingdom. He has worked at some of the busiest hospitals in the UK and Saudi Arabia and completed his Fellowship in Dental Surgery from the Royal College of Surgeons of Edinburgh. He is the owner of the very successful Langley Dental Practice and is also the Clinical Lead Dentist for the Oral Surgery Clinical Assessment and Treatment Services at NHS Heywood Middleton and Rochdale. Tariq Drabu also teaches and mentors postgraduate dentists in oral surgery at the UCLAN Dental Clinic in Preston.